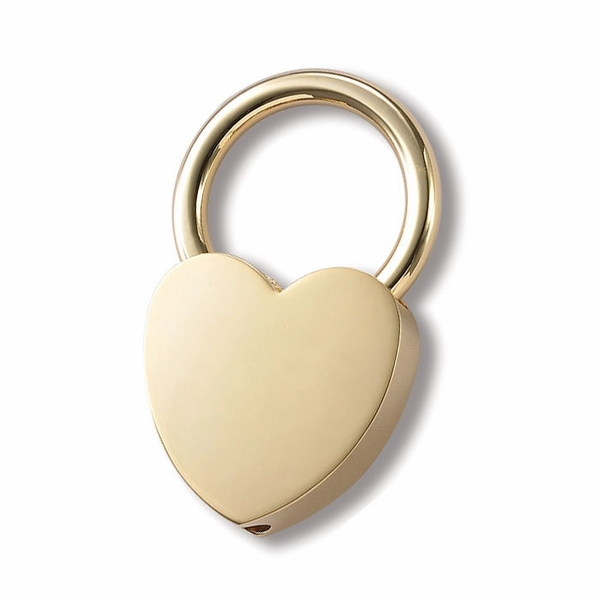 The gold padlock keychain can be engraved with names, initials or any message. This beautiful keychain has a high polish gold finish that is perfect for engraving. It has a simple pull & twist design to easily add keys to the ring. Engraved heart keychains are a simple yet elegant gift that are a great accessories for everyone. This premium assortment of engraved keychains come in a variety of styles and uses including photo holders to detachable valet rings. Personalize any of our keychains with engraving to make the gift extra special. From romantic hearts to contemporary shapes these personalized keychains are great for all occasions. Contact us for discounts on large orders of custom heart keychains. Don't forget to check out A & L Engraving's complete selection of pocket sized gifts, including business card holders, zippo lighters, cigarette cases, flasks, pocket knives and money clips.